London – The Netherlands surprised the United Nations Human Rights Council by submitting a draft resolution to internationalize investigations in Yemen. Saudi Ambassador to the UN in Geneva Dr. Abdulaziz al-Wassel said that the Netherlands did not announce in a pre-session organizational meeting, its intention to put forward a draft resolution on Yemen. Consequently, the European country and its supporters later withdrew the draft resolution. 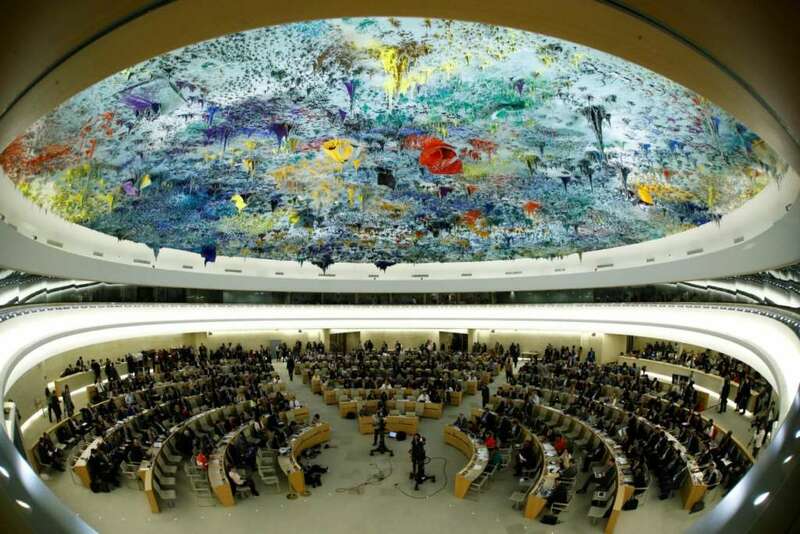 The Human Rights Council, instead, has agreed to send a technical support team to Yemen, under Article 10, rather than dispatching an international commission of inquiry, which was proposed by the Netherlands. “The Saudi diplomacy has succeeded in assuming its leading role, and passed the Arab draft resolution, which avoided the internationalization of Yemen’s investigations,” an Arab diplomat noted, speaking on condition of anonymity. Wassel told Asharq al-Awsat that the Saudi leadership has sent directives to the Saudi diplomats at the UN to always seek the interest of the Arab and Islamic nation. On Thursday evening, the penultimate day of the session, efforts were deployed to draft a new text that would be based on both the Dutch and Arab proposals. “The last hours have been difficult, as serious negotiations have begun to reach consensus, namely the last 48 hours of the session, which witnessed extensive reviews and diligent work,” Wassel said. “The resolution has been unanimously endorsed by the participants, highlighting a unified international position on Yemen,” the Saudi diplomat stated. The resolution called on the Yemeni parties to engage in a comprehensive, peaceful and democratic political process for the full implementation of Security Council Resolution 2216. It also expressed “appreciation to the countries that have committed to contribute to Yemen’s humanitarian response plan for 2017,” according to Wassel. The resolution recognized the role of the Yemeni National Committee in the investigations and the importance of maintaining its work in accordance with the decision of the Yemeni President.